Recording and Playback in the Ensemble Rehearsal: What, When, How, and Who's Paying! Clinic Synopsis: This clinic will present an overview of the use of recording and playback in the ensemble setting. The pros and cons of various equipment will be discussed, including tips on programming and setting up the recording devices for the most efficient use in rehearsals. The ways in which teachers can use this technology to better themselves as educators and their students as performers will be addressed, as well as the topic of affordability and financing new equipment. 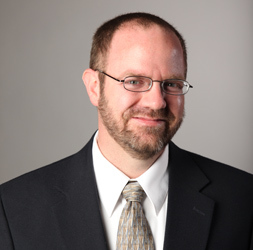 Clinician Biographical Information Russell Gavin is assistant professor of instrumental music education at Baylor University. His duties include teaching undergraduate and graduate music education courses, supervising student teachers, and assisting with the University Bands. Gavin holds a PhD in Music Education from Florida State University, a Master of Music in Euphonium Performance from the University of Notre Dame, and a Bachelor of Music Education from Auburn University. His public school teaching experiences include Director of Bands/Fine Arts Chair at Eufaula High School (Eufaula, AL) and Director of Bands at South Girard Middle School (Phenix City, AL). Gavin has presented clinics at the state music education/band conferences of Connecticut (featured clinician), Iowa, Kansas, Maine, Nevada, and Texas. Gavin also continues to serve as a marching and concert band adjudicator across the country.